The Chinese designer Shao Fan is also a renowned painter and sculptor. He has designed furniture which represents art rather than being purely functional. 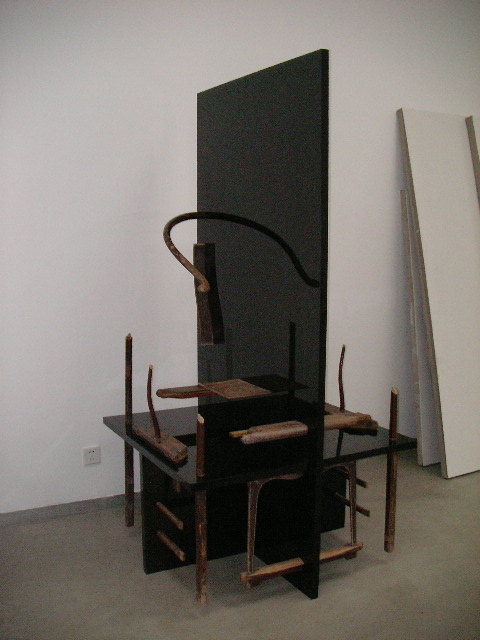 He claims to be a pioneer of deconstructive furniture and is considered to be hugely innovative as a result of his popular redesigns of ancient Chinese furniture. He was born into a renowned Beijing artist family in 1964 and always excelled in art, particularly in painting. During the Cultural Revolution he received his first painting instruction from his parents, who were university art professors assigned to paint Mao Zedong propaganda. Shao Fan graduated from Beijing Art and Craft College in 1984 and he still lives and works in Beijing. We were fortunate enough to visit his studio in Beijing and see these magnificent pieces. Each chair standing as an individual work of art. 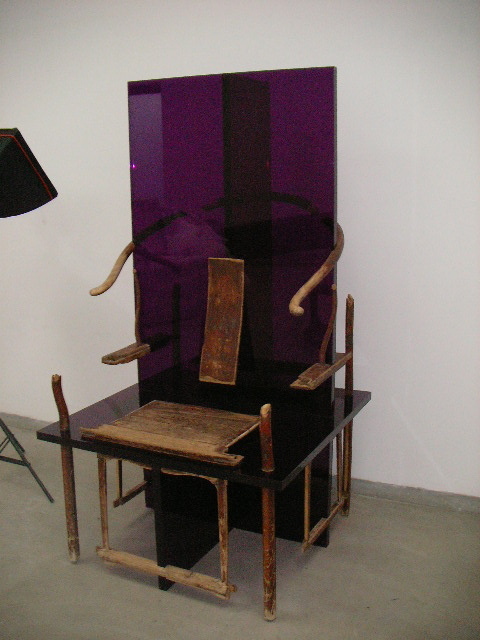 As one of the first Chinese artists to explore the boundaries between visual art and design, his furniture is visually striking but still retains it’s purpose. In the ‘Chairs(? 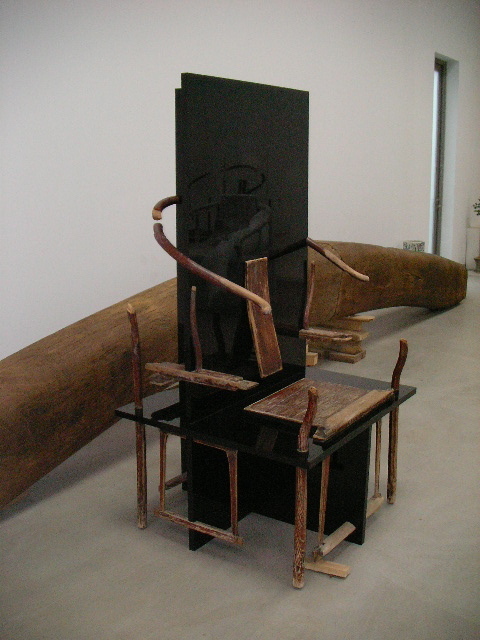 )’ series (1996), Shao Fan sought to reinterpret a subject as simple as furniture making. 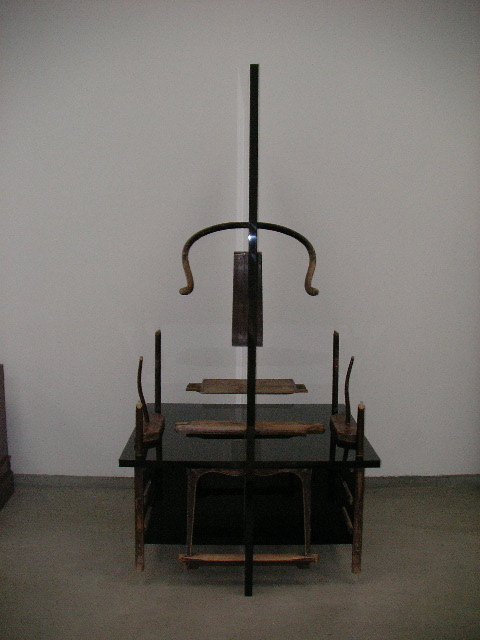 He believes that Ming furniture contains the essence of Chinese philosophy. By taking furniture in the Ming style apart, and combining it with contemporary materials and design, Shao Fan wanted to express the philosophical and cultural changes and contrasts that he felt China is facing today. So we’ve been featuring a lot of chairs on this blog, a range of discarded, recycled, paper, art, sculptures and chairs that are simply beautifully made in our Around the World in 80 Chairs series. These designs are bound to provoke inspiration for creative minds, so here is a tool that could help you design your own chairs. 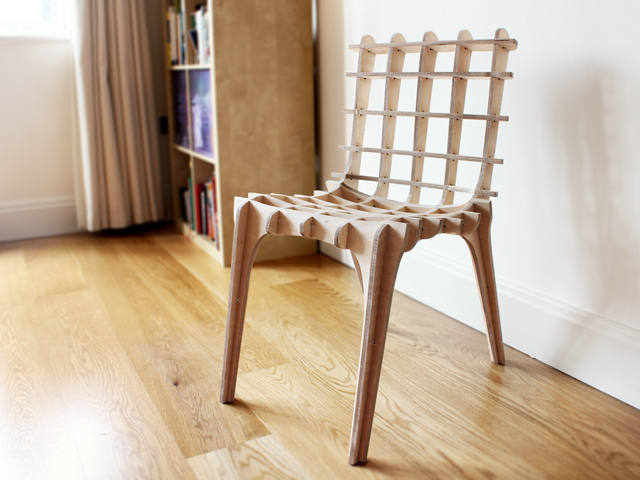 The London design studio Diatom have developed a software tool that actually allows you to sketch your own chair. 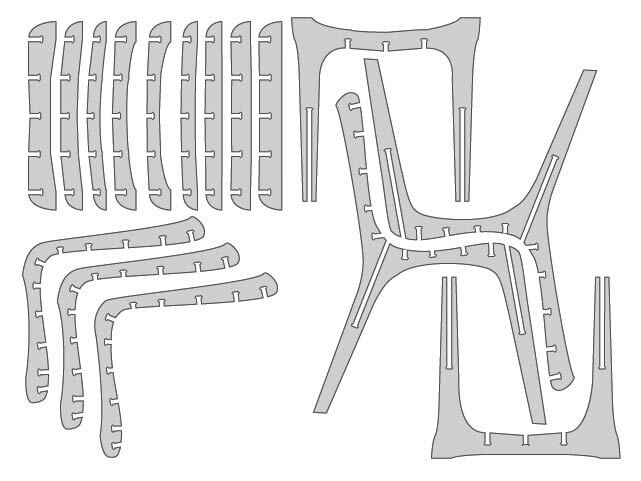 Sketch Chair uses a Java 2D tool with which you can draw and design your own chair in a simple and easy to use way. 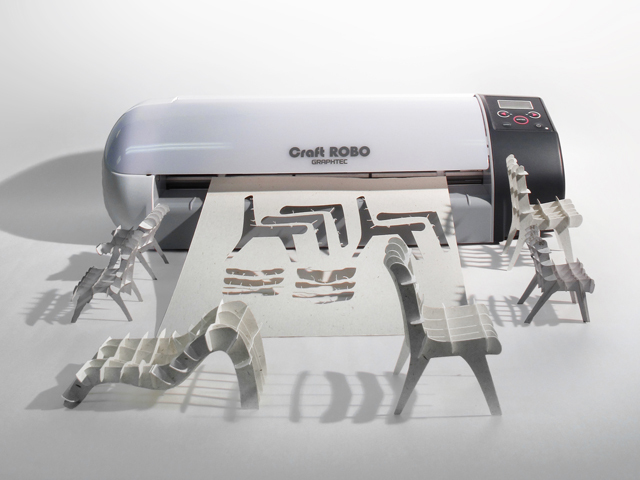 First you draw the chair, you can customise existing templates or design your own. Before your design is complete the programme conducts a test run of the chair which simulates whether the chair is sturdy and balanced. 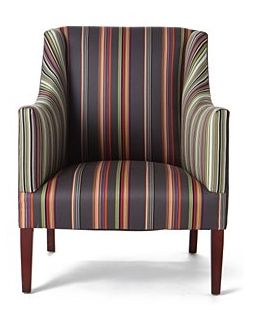 It ensures the functionality of the chair before you order it to be built. 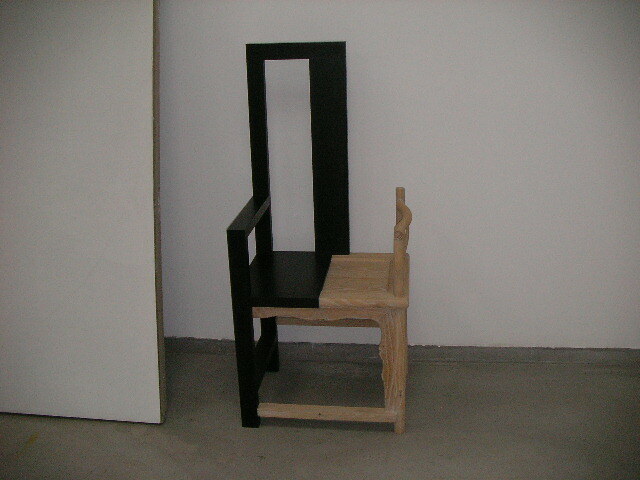 The programme then produces the separate pieces which will make up the chair (see below). The final template for the items can be sent directly to an online factory (at your own request) such as Ponoko or 100kgarages and will be made especially for you. The parts are then delivered by post and can be fully assembled without glue or tools as the pieces are designed to fit together perfectly – a bit like a puzzle. The makers of Sketch Chair referred to it as a sort of ‘open-source IKEA store’, however this description would probably not do the project justice. Each chair can be created as a unique and design by creative people who may not have the complete skills of a designer but want to build something functional. Unlike Ikea this programme allows individuals to add their own ideas and tastes to their furniture, without the expensive price tag of bespoke pieces. 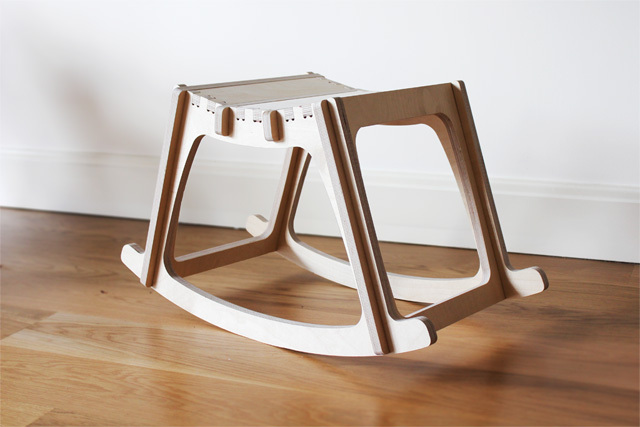 Sketch Chair is financed by Kickstarter, an online crowd funding platform where users present their ideas and find financial backers for their creative projects. 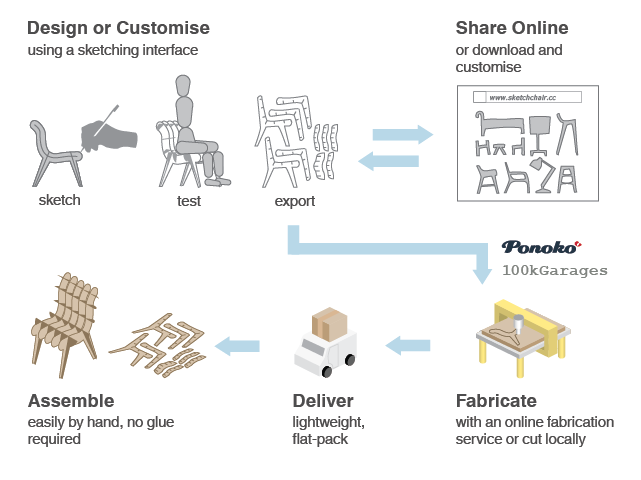 Sketch Chair, has already exceeded its goal by 170%, hardly surprising for such a fun and innovative project. 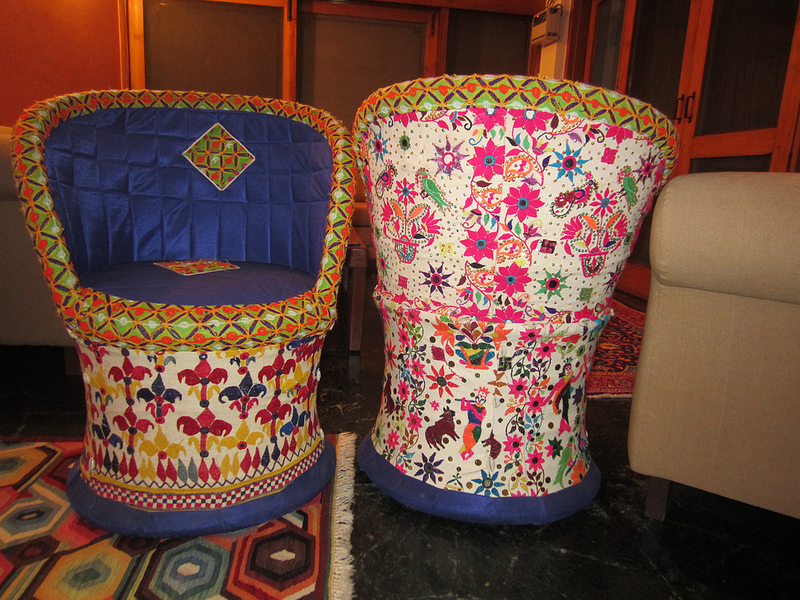 Upholstered chairs, India. photo taken by ccarlstead. 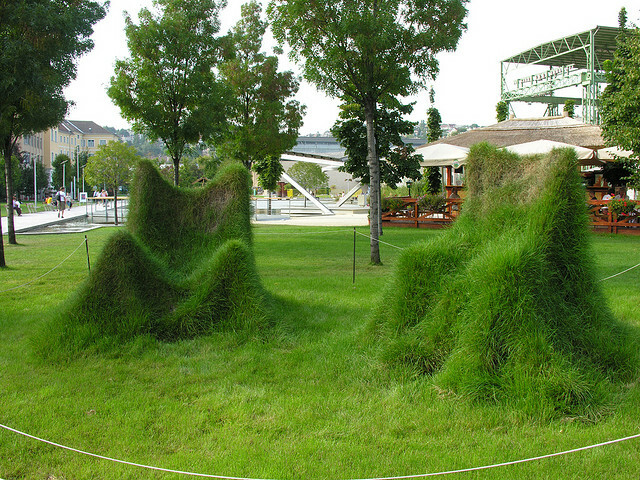 Grass chairs in Budapest, Hungary. Photo taken by CyberMacs. 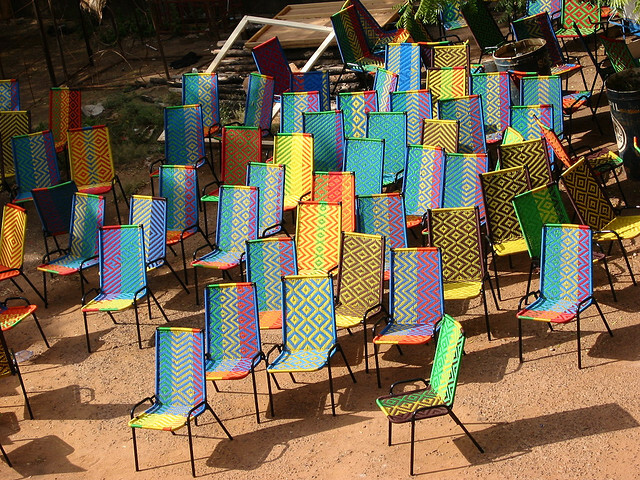 Colourful embroidered chairs Bamako, Mali – West Africa. Photo taken by Robin.Elaine. British designer Paul Smith chooses 3 objects from London’s V&A Museum that inspire him. He is well known for his use of colour and stripes, applying this throughout his designs and incorporating it into interior design, fashion and even cars. Paul Smith has become a very successful brand ranging from men’s fashion to interior design.